T.E.N. Names Peter Tippett of Healthcelerate the 2017 ISE® Luminary Leadership Award Winner | Company Newsroom of T.E.N. William Murray to present Tippett with the award at the ISE® North America Leadership Summit and Awards Gala on Nov. 15-16, 2017. Atlanta, Georgia , September 29, 2017	(Newswire.com) - T.E.N., a technology and information security executive networking and relationship-marketing firm, announced today that Peter Tippett, Founder and CEO of Healthcelerate, will be honored as the 2017 ISE® Luminary Leadership Award Winner during the ISE® North America Leadership Summit and Awards on Nov. 15-16, 2017 at the Marriott Marquis Chicago in Chicago, IL. Presented annually, the award celebrates the achievements of an outstanding leader and industry practitioner for his or her distinguished service, stewardship, and contributions in advancing the information security industry. Tippett is a recognized expert in enterprise information security, risk and compliance as well as in Health Information Technology and Health Technology Transformation. 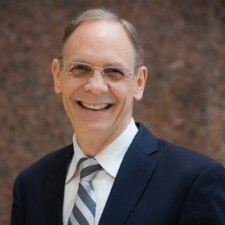 He is known for creating and fostering: The Rescue Disk, the Risk Equation, Essential Practices, the Data Breach Investigation Reports (DBIR) and Information Security Magazine. He is an avid entrepreneur, former Verizon senior executive, and frequent speaker who has helped numerous boards of directors and Fortune 500 leaders to understand and build successful approaches to security, risk, compliance, and accelerating innovation. Among other technology start-ups, Tippett created the first commercial anti-virus product, which became Norton; founded ICSA Labs, TruSecure and CyberTrust; and was Chairman of MD-IT and DataMotion. He was a member of the President’s Information Technology Advisory Committee (PITAC), which drove information security and modern Health IT transformation policy; served three years with the Clinton Health Matters initiative; and recently served on the White House/NIH Precision Medicine Initiative. Tippett was selected by a group of previous ISE® Luminary Leadership Award winners, which include Ed Amoroso (2005), Stephen Katz (2006), Dr. C. Warren Axelrod (2007), Larry Brock (2009), Craig Shumard (2010), Rich Jackson (2011), Anne Kuhns (2012), Howard Schmidt (2013), William Murray (2014), Bill Boni (2015), and Jim Routh (2016). T.E.N., a national technology and security executive marketing and networking organization, facilitates peer-to-peer relationships between top executives, industry visionaries and solutions providers in the cybersecurity industry. Nominated for numerous industry awards, T.E.N. 's executive leadership programs enable information exchange, collaboration and decision-making opportunities for Information Security Executives and cybersecurity solution providers alike. Its flagship program, the nationally-acclaimed Information Security Executive® (ISE®) of the Year Program Series and Awards, is North America's largest leadership recognition and networking program for security professionals. T.E.N. delivers ISE® Private Dinners across 42 major cities throughout the U.S. and Canada to create even more opportunities for Information Security Executives, professionals and security solution providers to Connect, Collaborate, and Celebrate. For more information, visit http://www.ten-inc.com. For more than a decade, the Information Security Executive® (ISE®) of the Year Award Program Series has empowered security executives and their project teams to Connect, Collaborate and Celebrate. Recognized as the industry’s most prestigious IT Security award program, it has become the most anticipated award program for security executives and their project teams. Winners have included executives and project teams from leading organizations such as Aetna, AT&T, Bank of America, Comcast, Cox Automotive, Ellie Mae, HMS, Jabil, PayPal, and SunTrust. Our distinguished ISE® Judges are past nominees representing a cross-section of industries, including commercial, government, health care and academic sectors. For this reason, the ISE® Awards represent the best achievements of the year as evaluated by those regarded as the industry's most influential and successful thought leaders. Coupled with a one or two-day executive summit, the ISE® Awards are held across the country and Canada in major cities including Atlanta, Chicago, Dallas, New York and San Francisco. The ISE® Awards Program Series has reached more than 10,000 executives across a broad range of industries and has been a major influence in executives' careers, knowledge sharing, and the development of peer-to-peer relationships.